The build and installation of this feature oak double front door and gable followed 8 months of building work carried out at this property. We built a large extension with an additional 4 bedrooms, 2 main bathrooms, 1 master bedroom ensuite and 2 dressing rooms – each room offering a double aspect. 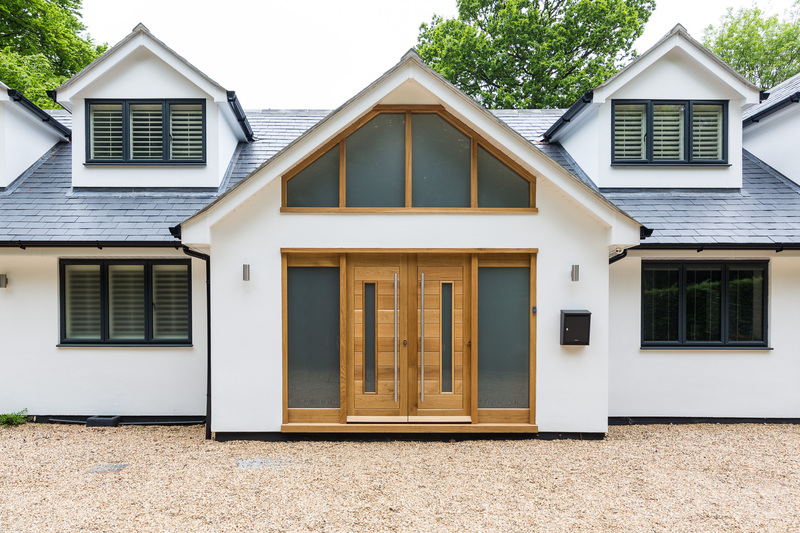 To complement the shape of the property, we were commissioned by the owners to make and install an oak gable and feature oak double front door leading to a wide entrance hall and handmade oak and glass staircase.